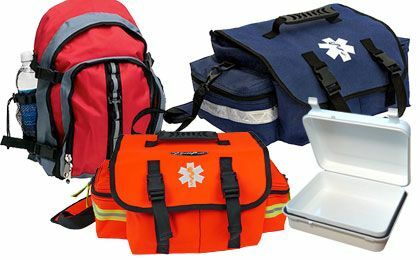 Build Your Own EMT First Responder Medical Kit or Emergency First Aid Kit with Our Bags, Packs and Containers. Keep your first aid and emergency medical supplies safe and ready to use. From hip packs to back packs and watertight containers, Fire Supply Depot has the storage solution for all your needs. Coghlan's Load 'N Lock Waterproof Cell Phone Pouch 4" x 6"